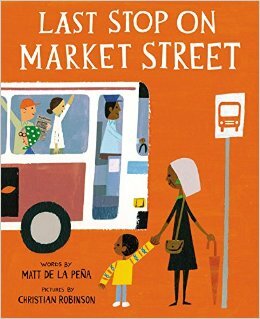 I recently got my hands on a copy of Last Stop on Market Street by Matt de la Peña and I knew right away I was in for a treat. 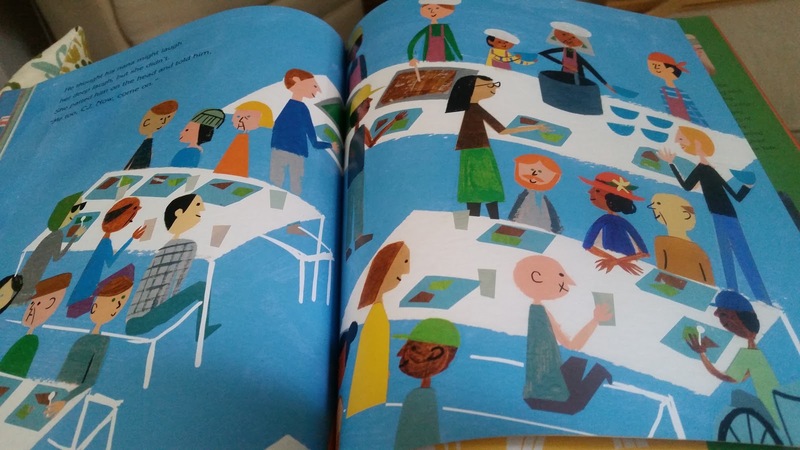 I fell in love with illustrator Christian Robinson's work when I heard him speak on a panel at Simmon's College this fall. He illustrated the gorgeous Josephine: The Dazzling Life of Josephine Baker. Last Stop on Market Street is about a boy, CJ, who takes a bus ride with his grandmother one Sunday morning. He is not too entirely thrilled about the trip and also a little nervous about all the people on the bus. Robinson brings to life some really spectacular characters, some I have never seen grace the same pages in a book before. 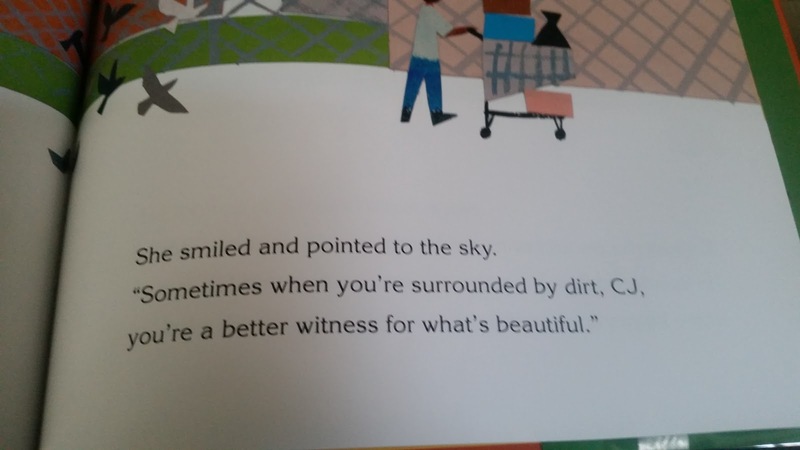 What we discover is that CJ and his grandmother are on their way to a soup kitchen as volunteers. CJ shows us the inner insecurities we all have when we see people who are different than us, whether on the bus or on the street. His grandmother shows us the strength and courage possible when we push beyond those feelings and try on a little empathy. The people on the bus start piling in. I love this old lady staring at the tattoo guy! More people hop on the bus. 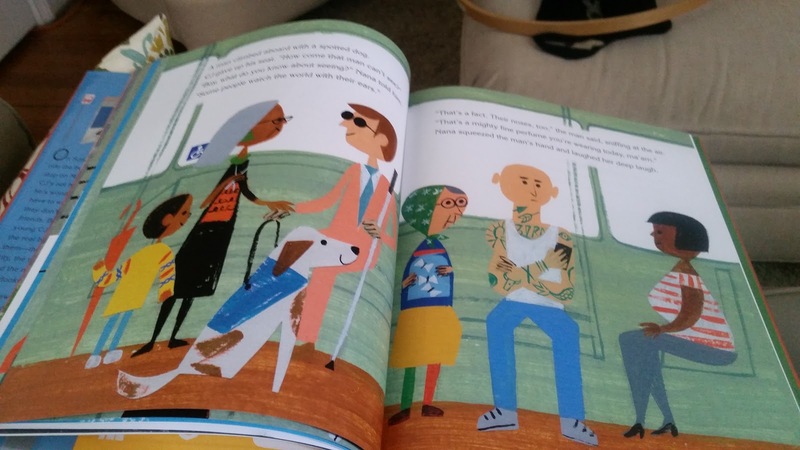 In the same interview, de la Peña adds to this notion of diversity in children's literature saying, this book "features characters backgrounds, but it isn't a book about diversity." 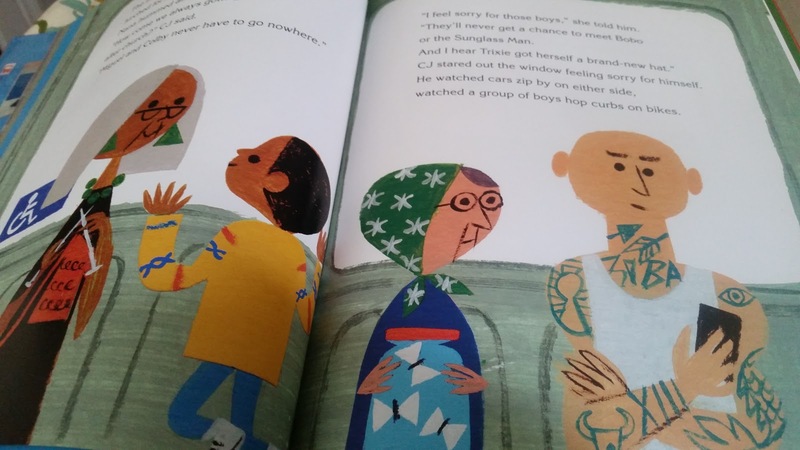 He hopes that while this book does feature an African-American boy and his African-American grandmother, it is not just written for that population to read and he would like to see it being read by every kind of person. Definitely one of my new favorites and sure to be a classic for years to come. Now go to an independent bookstore and snag one!